Odunlade is a very popular Nigerian actor,director, producer and musician. He primarily feature in Yoruba films and also feature in Nollywood films too, he is one of the richest actors in Nigeria, he is definitely among the most famous actors in Nigeria. 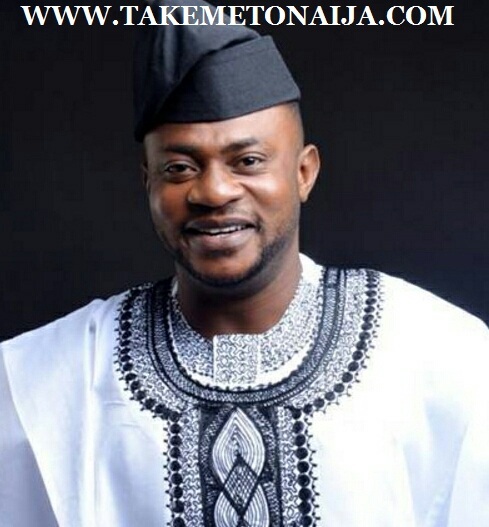 Odunlade is popular for his comical acts, he is also named the Nigerian king of MEMEs. undergraduate in one of the universities in Nigeria. He has not disclosed which university this is due what he called “personal reasons”. Odunlade Adekola started acting at a very early age. According to him, whenever any anniversary was to hold in his church (the Christ Apostolic Church, Lafenwa, Abeokuta), he and a friend, whose name he gave as “Tunde who was a part-time actor introduced him to a theatre group that rehearsed near his house. One day, he invited him to join the group and he agreed. could. He then told him to act like a crazy person and when he did that, everybody there began to clap. That was how he started gradually. Later on, He got to know about to go Association of Nigeria Theatre Arts Practitioners (now Theatre Arts and Movie Practitioners Association of Nigeria) and He joined fully in 1998 after showing in his first movie. He wrote a “script” for a comedy play involving just two characters (him and his friend). That was how it all began for this professional actor, director and producer. other genius Yoruba actors in Nollywood, he entered theprofessional scene in 2005. However, he started increasing popularity only in 2007.He received training and additional motivation from late Isola Durojaye (Alasari), who believed in his potential and assisted him in bringing out the best in him. movies. In a recent interview, he admitted that the film Asiri gomina wa, in which he played the role of a state governor, was the most challenging assignment of his career, ascriticisms and doubts flew about over his ability to play the role successfully. However, he was able to play the role perfectly, and according to him, he believes that his role in that film opened up the door of many greater opportunities for him. movies. Few that can be mentioned are; Farapamo, Emi nire kan, Baba super, Ila owo, Eje fun eje, Fayebora. He’s works on new movies every single year which keeps increasing his fan base. One of the most asked questions about Odunlade Adekola is “Is Odunlade Adekola married?” Well, for your information, the tall, handsome actor is legally married to Ruth with three kids. The wife of Nigerian actor Odunlade Adekola, Mrs Ruth Adekola, gave birth to her 3rd born on Saturday April 13th, 2013 in Abeokuta, Ogun State. In an interview granted by Taiwo Aromokun, a Yoruba Nollywood actress and Odunlade Adekola’s trainee, admitted that there existed a relationship between her and the actor. However, the duo had to part ways as he was not willing to take a second wife, and of course, she had to carry on with her life. The breakup notwithstanding, the duo is still on very good terms. Apart from being an actor, Kola, as he is well known by fans, is also a Glo ambassador. It has also been revealed the actor and fellow star Actress Funke Akindele are not cool with each other because of some silent rift between the two. According to the online reports it was said that Funke was the reason his glo ambassador deal wasn’t renewed. The actor is also rated as one of the top ten richest actors in Nigeria. – Diekola; – Baba Super (Produce) and many more. Has won the NEA Awards too. The actor signed a multimillion naira endorsement deal with telecom giant Glo in 2011/2012. The actor for real was involved in an adultery scandal with co-movie star Taiwo Aromokun a relationship they both later ended. Odunlade once was rumored to be dating another Fathia Balogun in 2014 a rumor he debunked though. He also was said to have fought with Mapoly students around a movie location using his power over them arresting them.. A rumor he later cleared himself over as the story was the other way round..